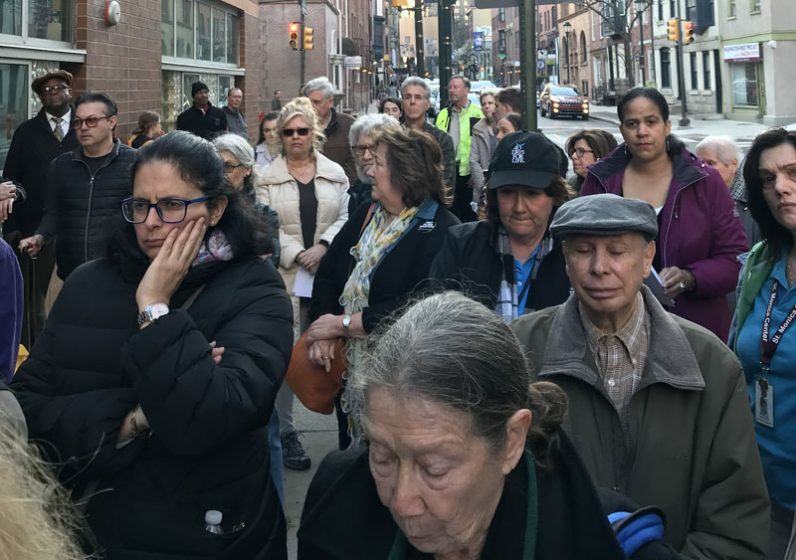 Dozens of concerned citizens in the Philadelphia region gathered peacefully Wednesday evening, April 3 at a Planned Parenthood clinic at 12th and Locust streets in center city Philadelphia to learn how to educate others about the activities, including abortions, that happen inside such clinics. The Pro-Life Union of Greater Philadelphia led the event, representing Philadelphia’s part in the National Protest Planned Parenthood Day. 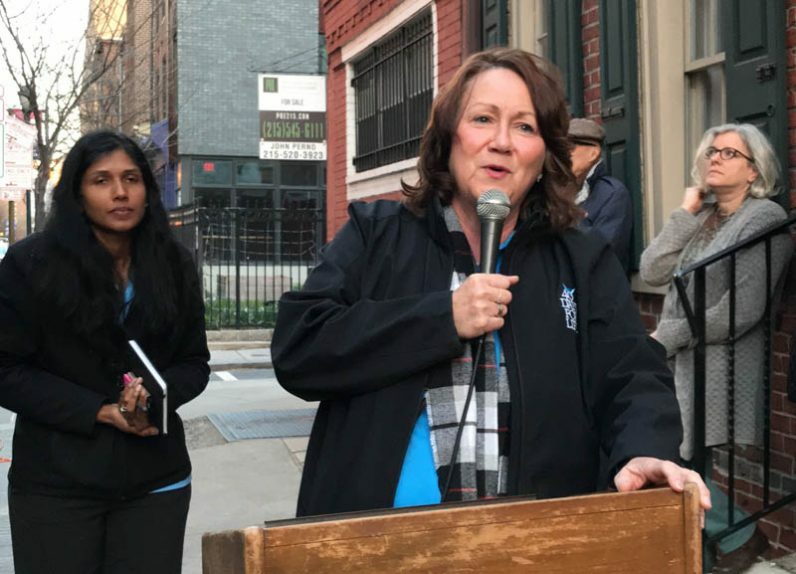 Sue Thayer, 40 Days for Life outreach director, spoke to the crowd about her past professional experiences managing a Planned Parenthood clinic for 18 years, her transformation into an advocate for the pro-life movement and how people can take action on behalf of the unborn. The event Wednesday night took place almost one week after the release of the new film “Unplanned,” based on the life of Abby Johnson, who also used to manage a Planned Parenthood clinic but has since become one of the most renowned pro-life speakers in the United States. The Pro-Life Union uses hope and love for families to serve and accompany others by offering education, alternatives and public witness to eliminate the need for abortion and euthanasia in Greater Philadelphia. Through the event, the organization hoped to raise awareness of why millions of dollars in government funding should not be provided to Planned Parenthood facilities across the country.